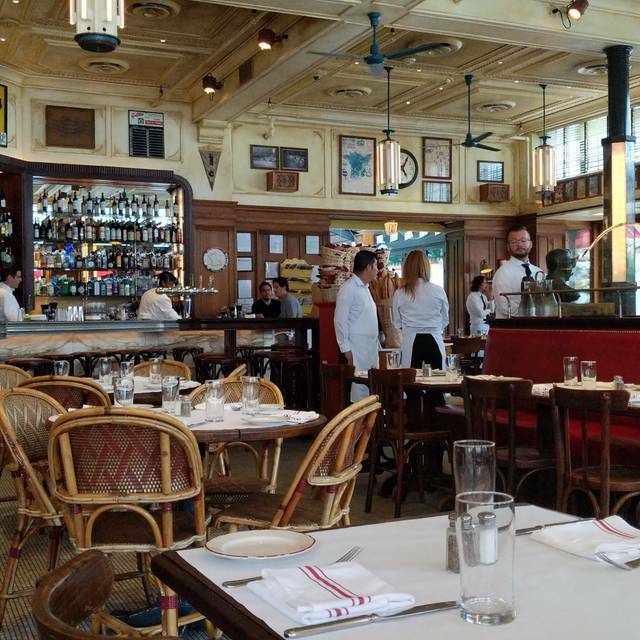 You must make reservations at least 5 minutes in advance of the time at Le Diplomate. Stephen Starr brings his signature brand of hospitality and design to the nation’s capital with the opening of Le Diplomate, located at 14th & Q. Serving lunch, brunch and dinner, the stylish 260 seat restaurant transports diners to the beloved cafés of Boulevard Saint-Germain in Paris. The extensive menu features a variety of classic dishes including Onion Soup Gratinee, Steak Frites, and Poulet Roti as well as contemporary bistro fare, with dishes such as Shaved Veal Tongue with Mache and Bavette de Boeuf à l’Echalote. A thoughtfully curated wine list and cocktail program perfectly complements the cuisine and creates an environment suitable for romantic dinners or lively group gatherings. In warmer weather, enjoy dining "en plein air" in the stunning outdoor café where you can take in the bustling energy of DC while sipping on the perfect kir royale. 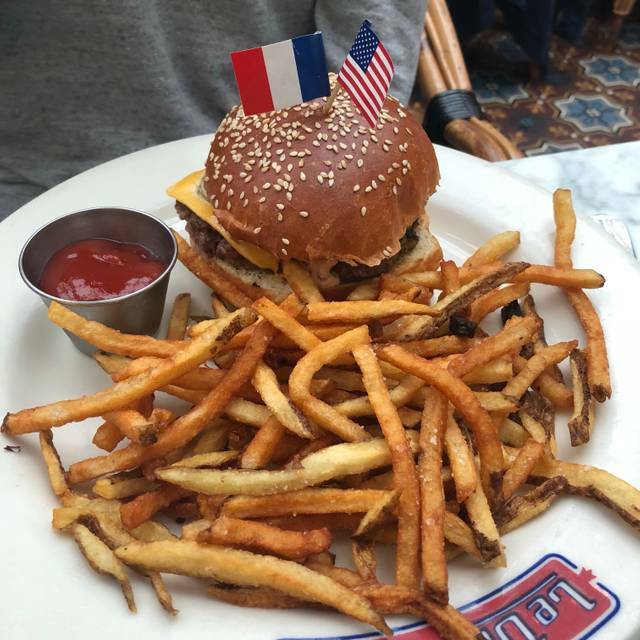 This French bistro is the place to see anyone who’s ever been on “Meet the Press". The food is also delicious. The food was very good but it is so noisy that we could not talk. It was my birthday and we were looking forward to a nice evening. It is impossible to enjoy yourself in a place that noisy. In addition, they had background music which was baffling. The service is also very fast so take your time irdering between courses if you go. I had really high expectations for this restaurant given the many rave reviews online and more. Service was pretty good and servers were attentive, but towards the end it felt very forced and not very personal at all. I felt like I have tasted better duck confit and creme brûlée elsewhere at much cheaper prices. The ambiance was nice and the noise level was just right, not too quiet and not too overbearing or headache inducing which I appreciated. It’s a shame that the food for me wasn’t that great. It was horrible and insulting. I would not recommend this disgusting restaurant to anyone. Excellent food but too noisy. Waitress was very good. I’ve lived in DC for a few years now and finally tried Le Diplomate and it lived up to the hype. I am excited to go back and enjoy another wonderful dining experience. One of the best dining experiences ever. Best ever in DC area. Thanks for the great food and fun atmosphere. Will be back for certain. Excellent service, lovely decor, lively atmosphere and delicious food. I love this restaurant!!! OK experience. Food was great, service was very good. Too noisy, perhaps, but then again this may be attractive to some and it was certainly lively. Found it somewhat pricey though. Celebrated Easter and my birthday. Had a great time. Really fun time at Easter brunch. We ordered the eggs norwegian and the steak and eggs and both were outstanding. Wonderful atmosphere and service. Dont leave without ordering profiteroles! We had a lovely time on the patio for brunch- it was beautiful outside, perfect for people-watching and the food was very good (yummy simple salad and steak frittes, even the bread was delicious!) Our main issue was the service. On several occasions, we had to ask our requests 2-3 times at every stage of our meal. and to top it off, the waiter had a "miscommunication" and served us a different and more expensive bottle of wine that we ended up having to pay for. 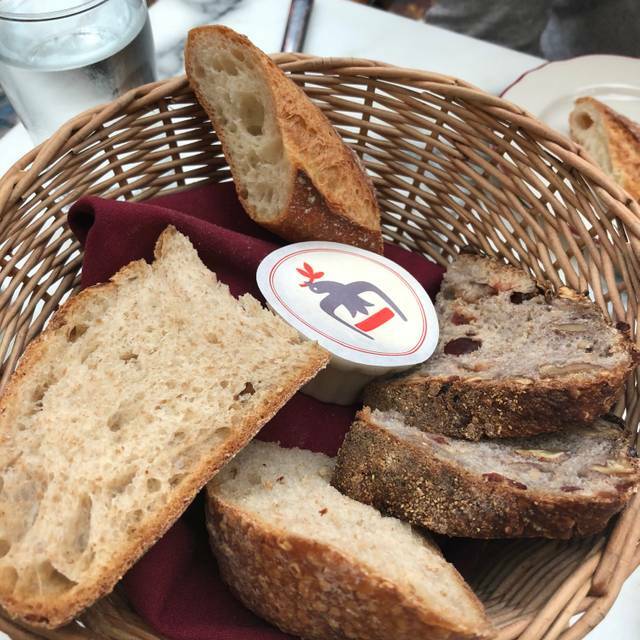 I've been to Le Diplomate several times and have never had a problem with the service until now - so don't let that dissuade you- the setting is amazing and the food was superb, a great place to celebrate a special occasion. Excellent food, and champagne, cocktails and wine were all outstanding. Service was great as well. Highly recommend for any special occasion. Everything was great! Ambiance, staff and all phases of the meal. From bread through to dessert...it was all delicious! As always, Le Diplomate was slammed but still terrific. The service was great and the food is consistently delicious. Of course having an option to buy a loaf of the cranberry walnut bread to take home is also a win. 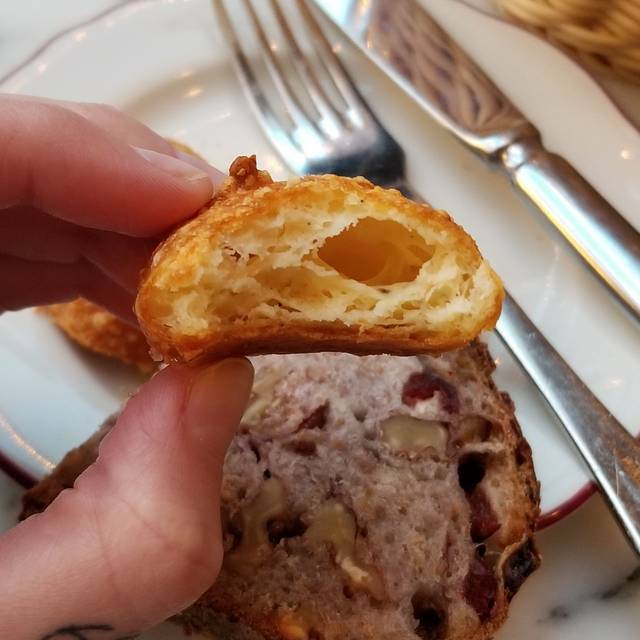 The food was pretty good, but not the best French brunch I've had. The fries were super bland and needed salt/pepper and maybe a couple of different sauces. The service was quite negligent. The oysters were WAY TOO BIG awkward to eat on a date. Food was good. Horrible and rude service. Been working in the food industry for 20 plus years. Food runners were amazing and the manager walking around was very attentive. Server started to mumble when we called him over to ask a question. He never came back to take our dinner order. We were finished with appetizers and he was everywhere, but our table. 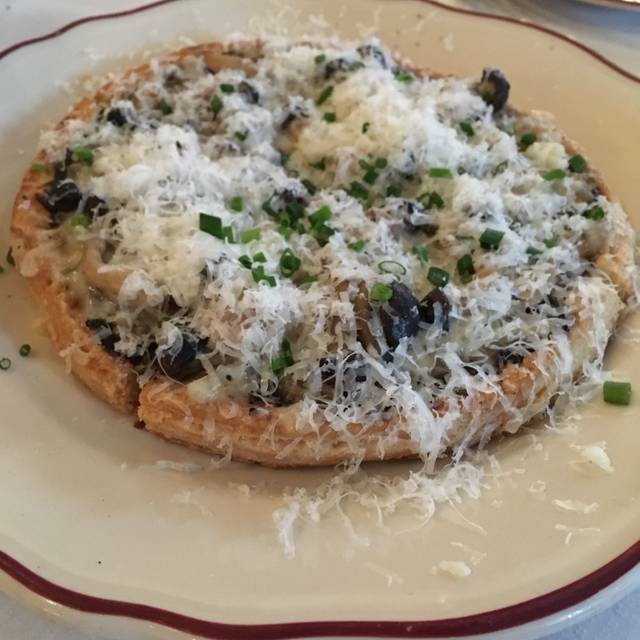 We had a great experience overall at Le Diplomate. The food and drinks were very good and the staff was very friendly and helpful. 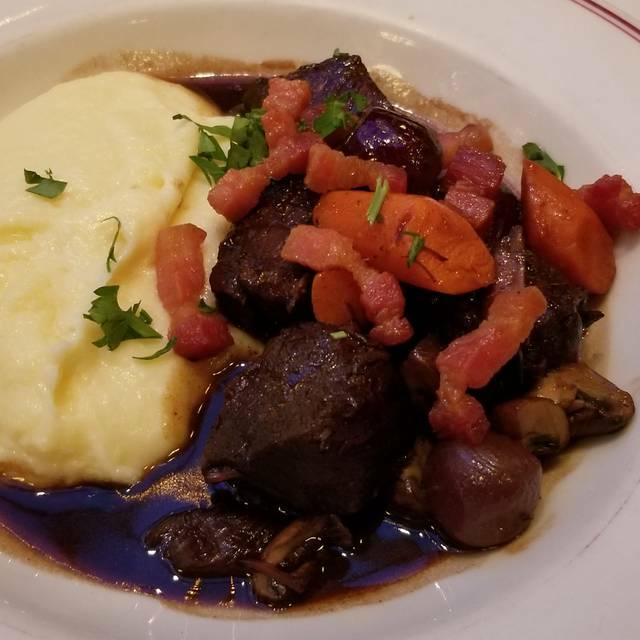 I only was a little disappointed in the tenderness of the meat in the beef bourguigon but the manager came talk to me as soon as I made a comment, offered to change my plate and did not charge me for it. There is nothing not to like here. Service was a throwback to days gone by when a diner wanted for nothing and the waiter anticipated your every need/whim. Attentive without being pretentious. Food is outstanding as well. A very nice space, with excellent cocktails and friendly, efficient service. 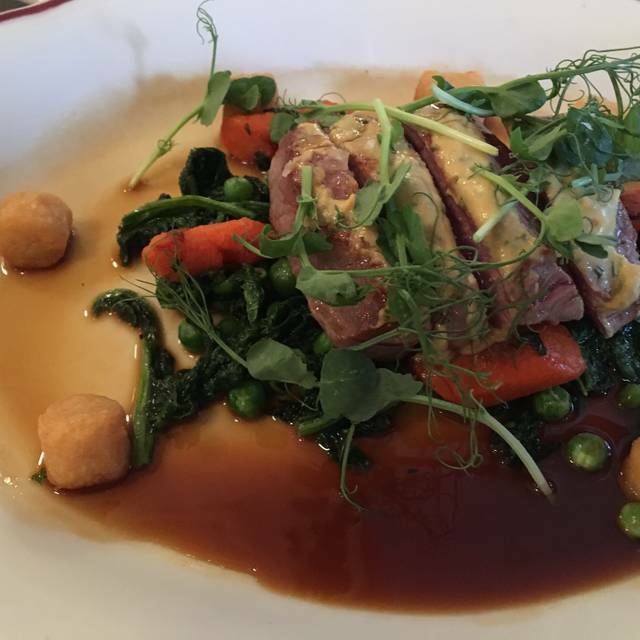 I ordered the duck for mains and, while it was beautifully cooked, I did feel it was over seasoned and too salty. We never miss Le Diplomat when in DC! Not stuffy, just fun. Wonderful dinner. Service was especially good. The coconut meringue for dessert was out of this world. Excellent find but far too noisy. There was a young girls birthday dinner near us and the parents were oblivious to the noise their girls were making in a restaurant that is not geared for screaming children. Good but not great service. Attentive manager who checked with guests regarding their experience. Excellent food with generous portions and superb wine list. An excellent night out but far too noisy place, if you expect to converse. The food is amazing and the service is impeccable. They all but eat the food for you. A must go in DC. Make reservation. Great service! Moules frites were amazing! Steak frites was super! The milk chocolate creme/mousse för dessert was to die for. Our waiter John was so good and cute. Will visit again! Always amazing food and wine. The service is fantastic and I loved out waiter!! My wife and I love dining at Le Diplomate. Fantastic food and a decent wine selection. And their bar makes excellent drinks. Efficient, unobtrusive service. Just a great time. This out-of-towner's Return visit to favorite. Great experience, as always. I love Le Diplomate! Went here for my birthday and it was fantastic. :) The petite plateau was amazing, as was the lobster risotto. Service was on point! Thank you for a great birthday! 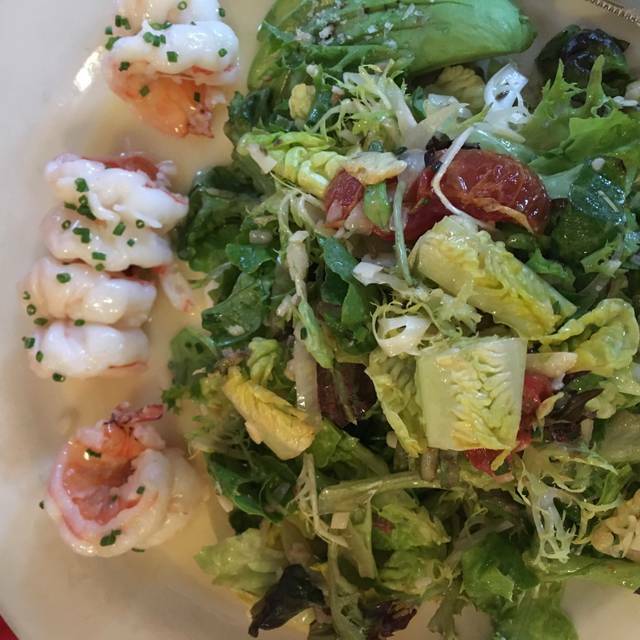 You cannot beat the warm shrimp salad. Tuesday special of lobster risotto is also excellent. Our server was absolutely incredible. Very nice and knowledgeable about the menu. I know why this restaurant has such a good reputation! 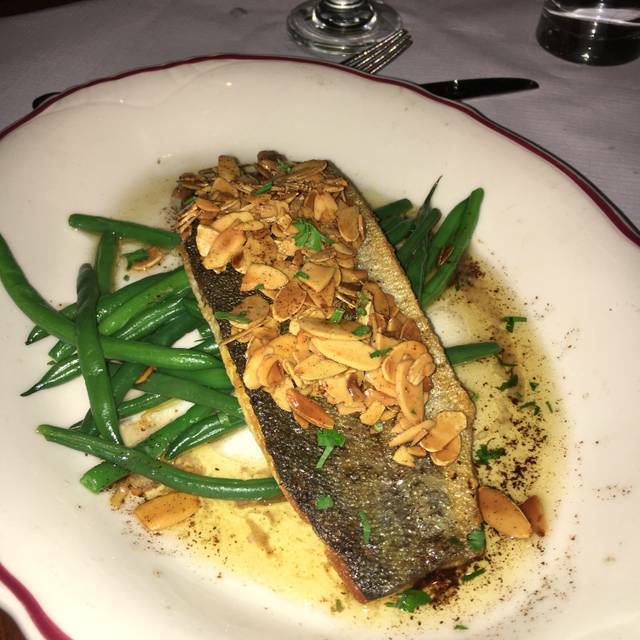 I would absolutely recommend Le Diplomate to everyone who wants an amazing and consistent meal with a trendy atmosphere. We ( a family of 4) had dinner here on a Monday night. Our server Rick was top notch, he had great recommendations, was attentive and just all around fabulous! The food was superb we never felt rushed and restaurant had a nice vibe! Highly recommend. We will be back. The best restaurant in DC. Hands down.